"5 inch floppy" is a 5-10 minute video game review show native to telstra bigpond's gaming website, gamearena. it aims to tackle one core game per week, analysing & criticising it at a high level, and obtaining a deep level of understanding of the game's dynamics. for streaming or downloading in 720p quality. jeremy "junglist" ray is a journalist and critic in a medium financially surpassing music and film, and growing in artistic legitimacy: video games. jeremy 's start came from playing counter-strike: source at a competitive level. after leading the team to the #1 position on australian ladders, it switched focus into a youth program, teaching younger players good sportsmanship. 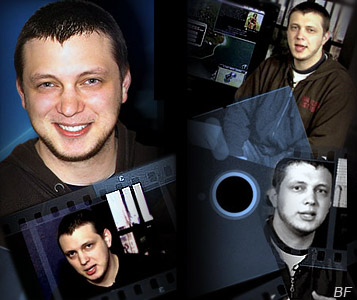 jeremy then co-founded the australian broadcasting corporation's magazine gaming show good game, and worked for three years on the show as writer, producer, and presenter. most recently, he has founded and produced gamearena's 5 inch floppy, and occasionally writes for game informer.